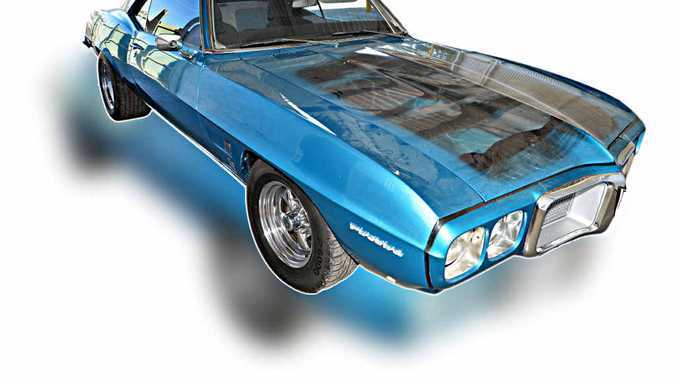 A NAMBOUR man may be forced to watch his $50,000 rare American muscle car being crushed or sold after he was caught allegedly doing burnouts for the second time - in front of police. Officers from the Road Policing Unit say they caught the 46-year-old man red-handed when he allegedly did a burnout in his 1969 Pontiac Firebird on Nambour Connection Rd at the intersection with Cobbs Rd. Little did he know that police officers also were waiting at the traffic lights, two cars behind. Police allege the man revved the engine, accelerated and performed a burnout where the vehicle had a "sustained loss of traction". Police made him forfeit the car on the spot because the incident on Monday was the second time the driver had been caught doing burnouts in a matter of weeks. The classic car enthusiastic will face court on Thursday under the anti-hooning laws. The laws, billed as the toughest in the country, came into effect on November 1. New figures from the start of the year show Sunshine Coast police have impounded or confiscated the plates of 127 cars for a 90-day period. Under the new laws, anyone caught doing burn-outs, doughnuts, drifting or other hooning behaviour can have their vehicles taken off the road for three months, while a slew of other offences can see drivers lose their car for at least a week. Any follow-up within five years will result in the car being forfeited and sold or crushed. So far, no one on the Sunshine Coast has had their car crushed, as court proceedings continue. Sunshine Coast Road Policing Unit acting officer-in-charge Dave Nelson said the anti-hooning laws gave police the backing from tougher penalties over life-endangering acts. "We are shutting down hoons across the Coast in areas like Dulong, Noosa, Kuluin, Eudlo and Nambour," Snr Sgt Nelson said. "It's not just a burn out, it's a life-endangering activity. "If you lose control and hit someone, that person is being hit by a tonne of steel and it can kill or hurt someone very badly. "You cannot have sustained loss of traction and still have control of a vehicle. It just doesn't work. "They (drivers) shouldn't be allowed to put other people in danger because of their stupidity." Schultz Toomey O'Brien Lawyers managing partner Travis Schultz predicted someone would appeal against the legislation itself. "The legislation new and is relativity untested so I expect when the appropriate test case comes along, someone is going to challenge the legislation," he said. "It is always possible to defend or appeal against the charges themselves but if we are talking about an expensive car like this and the offence itself is beyond doubt, the only option would be to challenge the validity of the legislation." Steve Struyf, of Adults Only Car Shop at Warana, imports American muscle cars. He said the 1969 Pontiac Firebird would be one of only a handful in Queensland. "It would be a travesty if this car was crushed," Mr Struyf said. "What we need here on the Coast is somewhere for people to go, like Willowbank, where people can go to drag racing or even a burn-out pad somewhere where they can have burnout competitions. "There are plenty of people who would be behind the idea." What's your thoughts on the Newman Govt anti-hooning laws?